Making a natural edge shop clock. 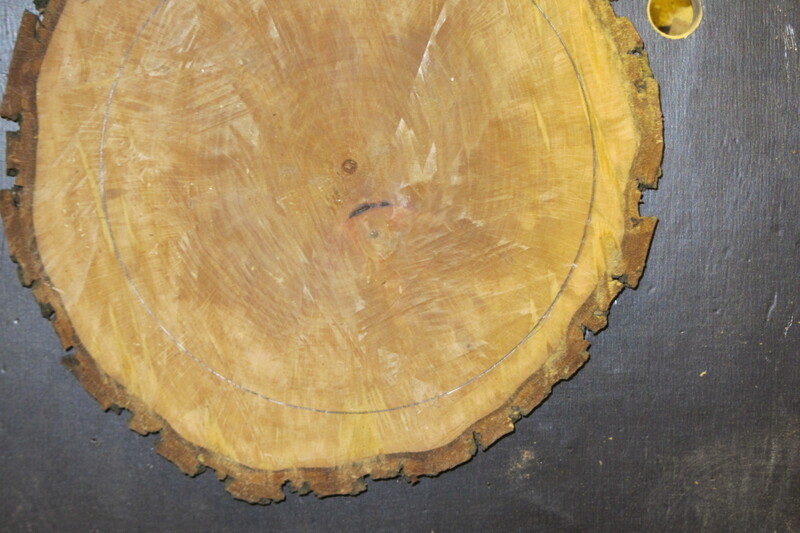 Watch this video and see how to make a natural edge shop clock with inside out growth rings. My plan was to use two slaps of alder I got when I made my chainsaw license/certification. 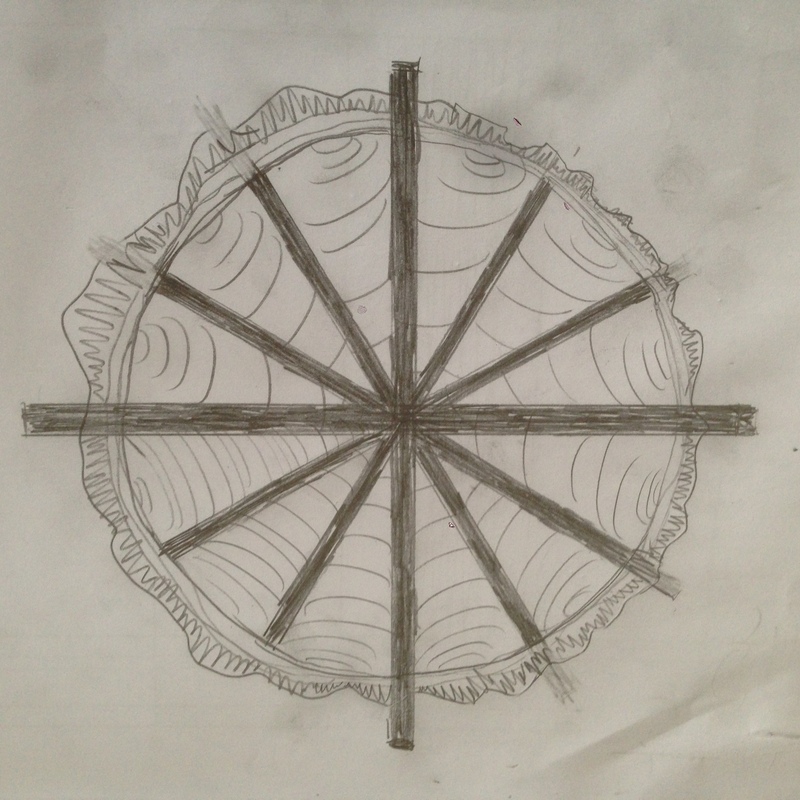 To make it more interesting I wanted to inverse the growth rings by cutting the two pieces into triangles and reglue them inside out. 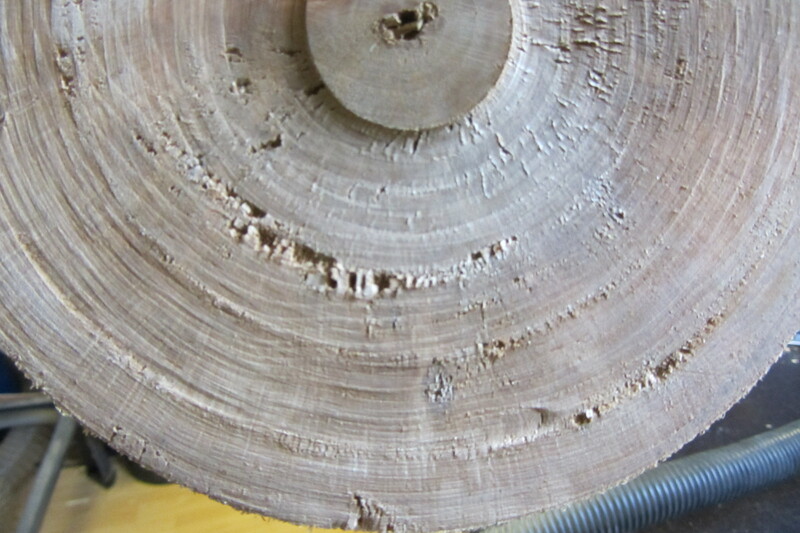 First I had to remove the chainsaw marks and after some problems at the lathe I finally got rid of them with my plane. I used my circle to draw a more or less complex pattern onto the slaps to create the most biggest pieces of inside out triangles. The pointed angle has to be 30° so that 12 of them create a circle. One piece for each hour. Unfortunately there was a lot of waste after cutting all pieces on the band saw but maybe I can use it in a future project. For contrast I also resawed a piece of walnut and glued everything in an alternating pattern together. I chopped up the bark I cut off earlier and reglued it to the clock. Finally I attached the clock mechanics. Posted on March 17, 2015 by Daniel. This entry was posted in Shop Improvement and tagged Alder, Clock, Natural Edge, Shop Improvement, Walnut. Bookmark the permalink. You have great patience along with your amazing skill and ideas! Loved your 2×4 contest entry! Beautiful I appreciate your wonderful ideas and ability. You are very artistic. You are bookmarked at the top of my wood working list. Thank you for sharing.